Literary Escapism has it's monthly posting of The Escapist Newsletter up today. 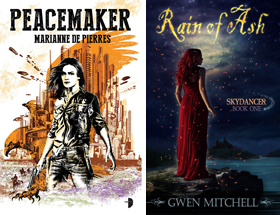 This is an incredibly thorough compilation of recent urban fantasy news from author updates, interviews, contests and forthcoming books to recent cover art releases and more. Jackie is also asking for your feedback on a planned revamping of the newsletter and is running a draw for an Amazon gift certificate for those that participate. Lady_tink it is quite a bit of work. The trick is to accumulate the news throughout the week as you web surf and extract news from your ready and keep it organized - but that's half the fun.